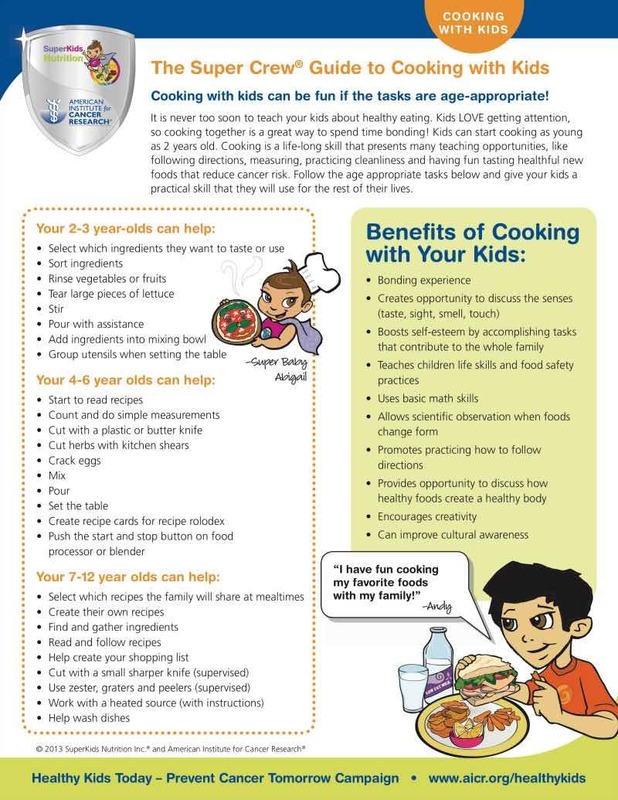 There are many ways to help prevent your child from becoming overweight and teaching them how to cook in the kitchen is just one fun way! 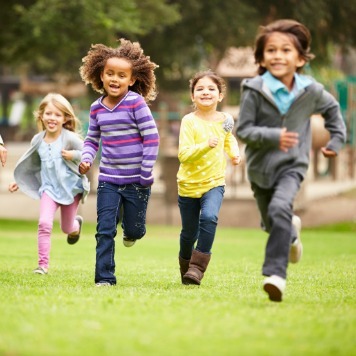 More than 12.5 million children in the U.S. are overweight. The number continues to rise and puts children at risk for serious health problems such as diabetes and heart disease. It can damage their health and vitality and overweight children may also suffer from low self-esteem and depression. 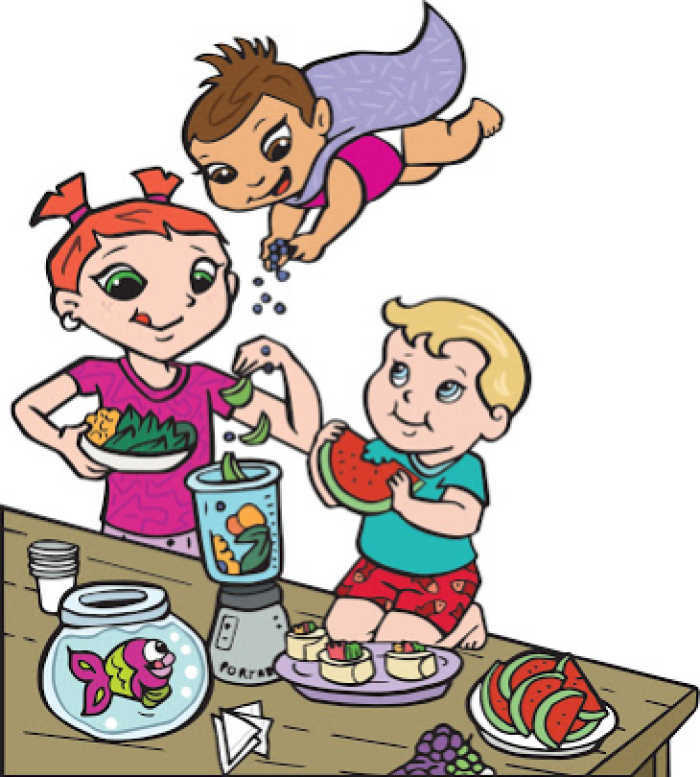 Children can develop healthy eating habits at a young age which can help create healthy eating habits for life. Involving children in food preparation engages them in the cooking process and introduces them to new foods. It can be a fun and tasty adventure while exploring new foods through their senses. They can touch it, see it and taste it and then it is no longer a new, unfamiliar food. Kids that are exposed to healthy foods in the kitchen are more likely to eat those foods. It is a bonding experience that can help boost self-esteem. Children can enjoy accomplishing a task while contributing to the family. It teaches them life skills and food safety. It can help with basic math skills and following directions. Be prepared for a messy cleanup, a little extra time and supervision. Make sure to cook with them when you’re not in a rush to eat. Consider making it a morning or afternoon activity as a way to spend time together. You don’t need to prepare involved recipes for this to be successful. Just a few tasks for the child are all that is needed. Some of these tasks are age and skill-dependent so be realistic about how much your child can do. In reality, they’ll be happy just spending time with you. 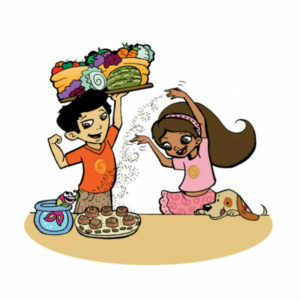 See our Children’s Book Review Corner for more fun ways to get active with kids in the kitchen. Laura Registered and Licensed Dietitian Nutritionist and an ACE-Certified Personal Trainer. She founded Walsh Nutrition Group, Inc., in 1999, a consulting firm for some of the biggest names in the food industry. Laura started her career in the test kitchens of The Pampered Chef working as a Certified Home Economist developing recipes and cookbooks. She then gained additional experience as a Registered Dietitian at The American Dietetic Association. A transition to the USDA School Meal Programs further developed her menu planning and nutrient analysis skills as she worked to improve the nutritional quality of school meals. She also taught nutrition at the Cooking and Hospitality Institute of Chicago to future chefs.